Hi Lucinda, I must say my process has always been a bit haphazard, but this year it’s been disastrously haphazard due to a very disrupted year. The Watson process is a lot of messing about until something finally looks right. It has to have a certain sparkle or something that just feels like a rhythm. (And with me, the rhythm does have a lot to do with character design.) Then either straight to roughs, or storyboard / dummy book and then roughs. I have half the storyboard for Leonard done, but it will need updating this week. I know what you mean about leaping into layouts early. I think it’s pretty natural if you’re a book fanatic. You read the manuscript and in your head, it’s a book in nanoseconds. I have a habit of rushing off and drawing cover designs before I’ve even spoken to the publisher to accept the offer. A new manuscript, (the right one) can be quite intoxicating to an illustrator. This looks like a great project Judy. 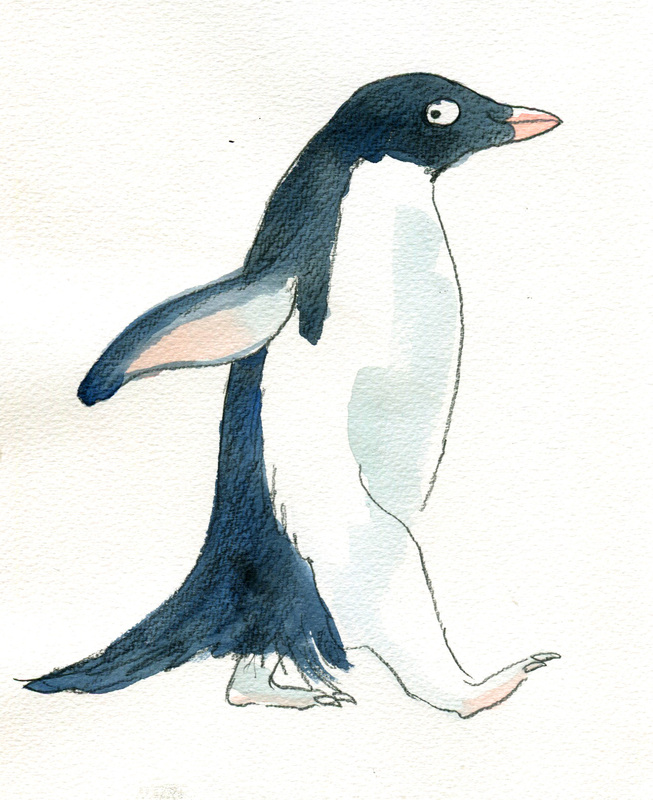 I enjoyed your discernment penguin art. 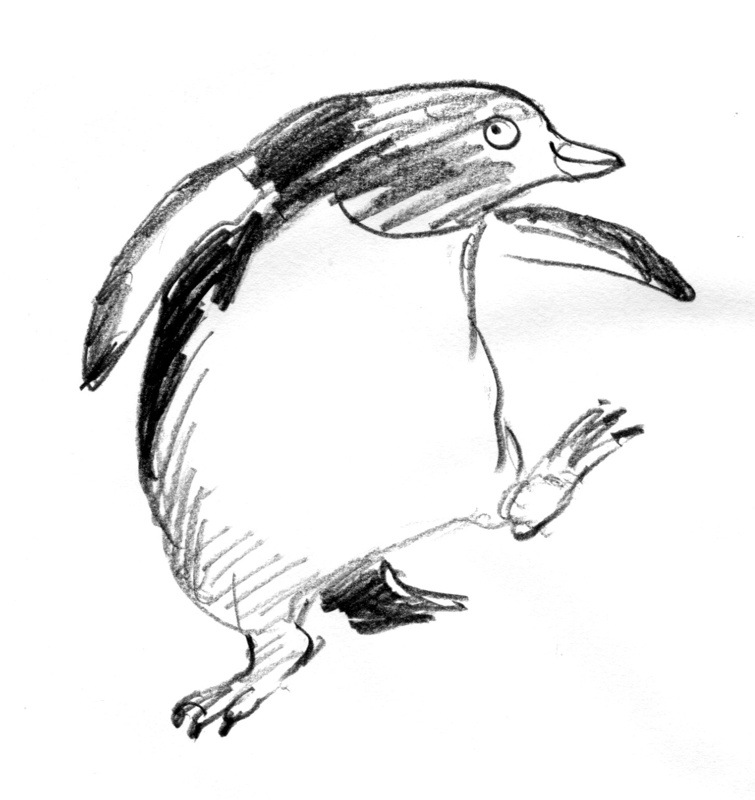 I liked the dancing penguins style the most, not to mention the joy in the characters. Thanks Tim. 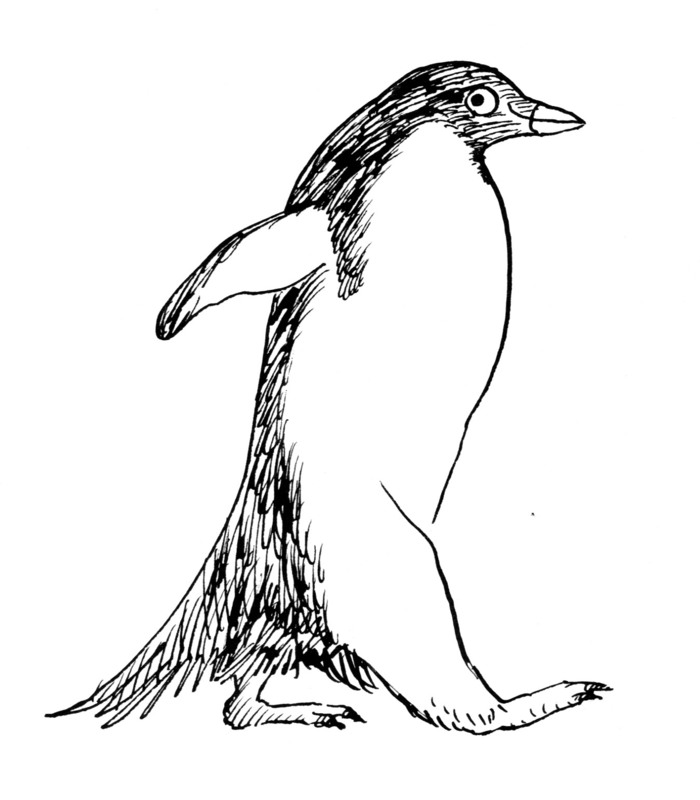 Do you mean the sketchy little penguin? He is probably the most ‘effortless’ of them all. But as you will probably know, the act of drawing effortlessly doesn’t come without effort… How confusing art is. Like you, I love birds. 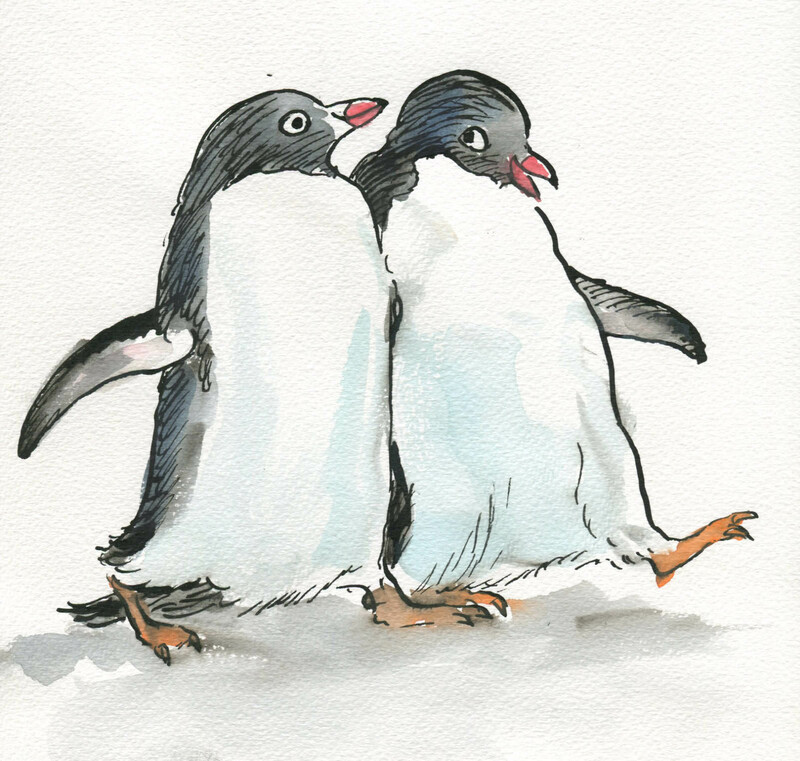 I would feel I had failed badly if I created a book about birds and didn’t capture their cheeky joyfulness.